Florida National University (FNU) has been granted provisional approval for registration as viable training programmes with the Health Professions Council (HPC) of the Bahamas for the following: Respiratory Therapy Associate (AS) and Bachelor of Science (BS), and Diagnostic Medical Sonographer Technology Associate (DMS/AS). 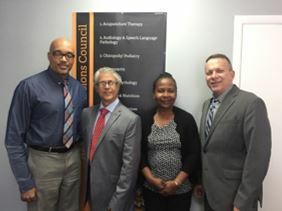 Members of the FNU~Bahamas team, Dr. Almonte, Professor Lammoglia, and Ms. Borges, met with Ms. Ellis and Dr. Knowles on Monday, September 17, 2018. The FNU~Bahamas team members were delighted to receive the HPC official letter, on behalf of Dr. Maria C. Regueiro, FNU President/CEO. 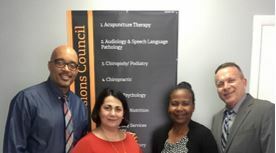 “We are very pleased to have been honored with this approval from the Health Professions Council, and look forward to collaborating with our neighbors in the Commonwealth of the Bahamas,” stated Dr. Regueiro.